Remember: Good Friday is a day of Fasting & Abstinence!! Article suggestion from Fr. Weldon. How does beauty affect your life? Parishioner Gary Poindexter & his team will be putting on a 1st Aid & CPR Class here at Sacred Heart Hall, Saturday, May 11th from 10:00 am - Noon. Anyone over the age of 13 is welcome to attend. All CYM Members, Catechists, & Ushers are highly encouraged to take advantage of this opportunity. Please register online here. Deadline to register is May 1st. Attendance is limited to the first 25 people. Does the Sacred Heart have a special place in your life? 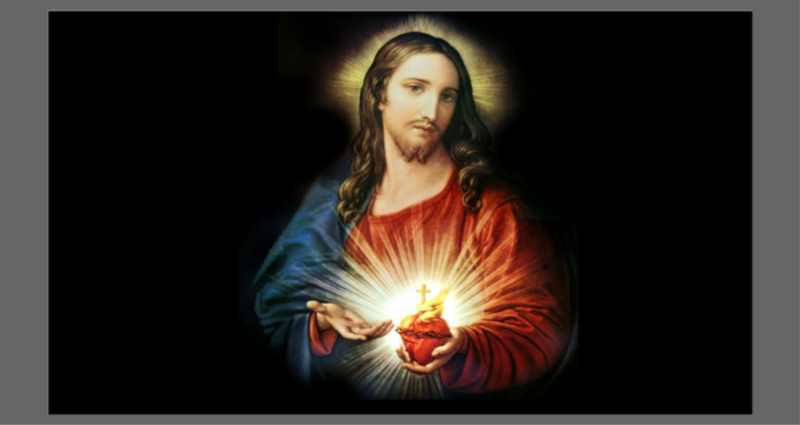 Make the Litany of the Sacred Heart part of your weekly (or daily) prayer life and see the amazing things that will happen within your own heart! The Beautification design process continues, but your help will be needed. Please keep the committee & parish in your thoughts & prayers as we all work hard to make sure our church reflects the glory of God and our love for him. Have you taken the opportunity to have the Sacred Heart Vocations Statue or the Family Prayer Paschal Candle in your home? No work or special talents required! Just pick up the statue or the candle in the back of church after your Sunday Mass beginning the week you've signed up for & return to the same place the following weekend. During the week pray for vocations & for families. Download this form & turn it into the office to sign-up for electronic giving via ACH directly from your bank!